Two boat trips and four weeks all together made 2011 my ultimate Svalbard summer. 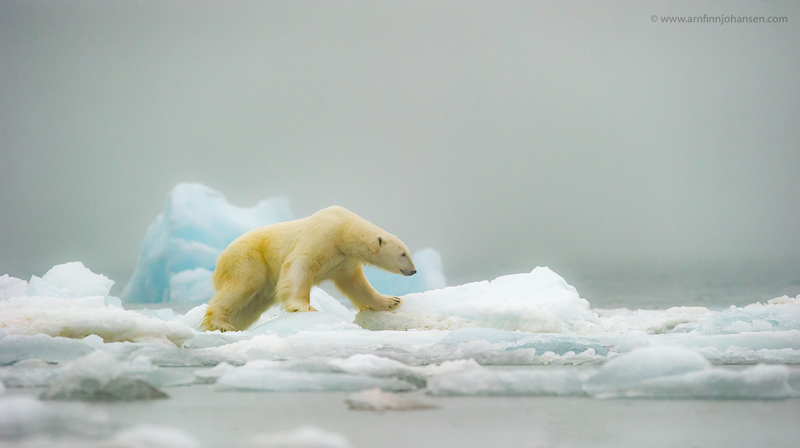 I have seen nearly 30 polar bears, over a thousand walruses, a lot of ringed seals, bearded seals, harbour seals, a few harp seals, mink whales, blue whale, and a lot of arctic foxes and Svalbard reindeers. On top of this, a rich varity of sea birds including divers, geese, ducks, skuas, gulls, guillemots and more. 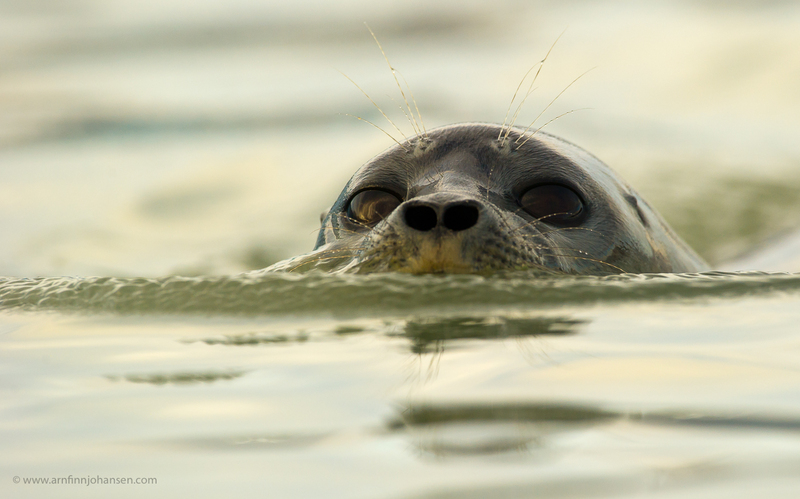 The first 10-days boat trip was in July with Ole Jørgen Liodden at Naturfokus going with MV Origo on a special wildlife photography tour. A great trip, thank you Ole Jørgen, I’ll be back! 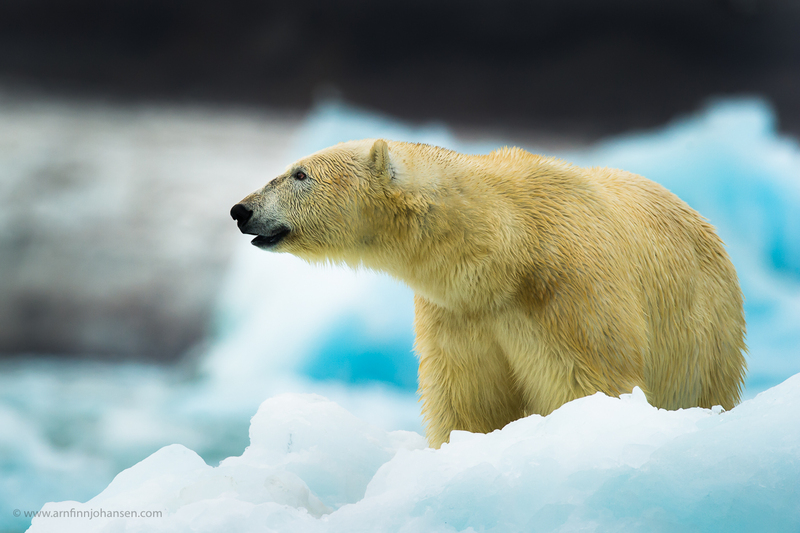 The second 10-days boat trip was in August with PolarQuest going with MV Quest. 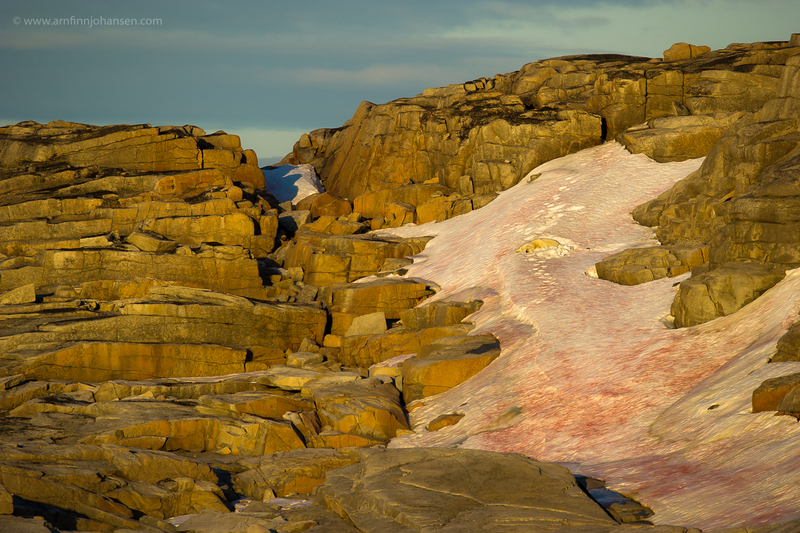 This trip was the main prize in the Nordic Nature Photo Contest 2011 (NNPC). 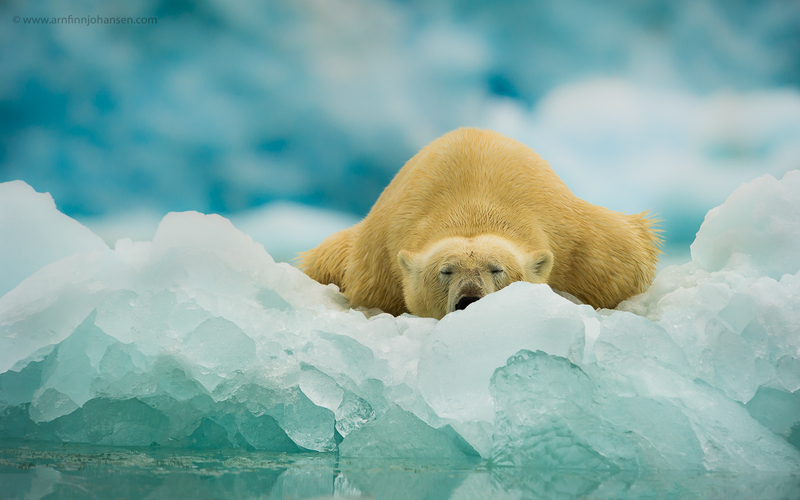 And what a generous prize – 10 days around Svalbard all inclusive – I am very grateful. I therefore like to take the oppertunity to thank NNPC’s main sponsor PolarQuest – and especially their expedition leader Mats Forsberg for his superior knowledge & experience – and great company in Svalbard! Below you will find some high lights from both trips. Please click the images to see the photographs in higher resolution. Nikon D3s, Nikkor 600/4 VR, 1/500 sec at f/5.6. +1 EV, ISO 2000. Polar bear sleeping at the glacier front at Lilliehööksfjorden. Nikon D3s, Nikkor 400/2.8 VR, 1/500 sec at f/4.5. +1 EV, ISO 1000. Polar bear sleeping in Lilliehööksfjorden. Nikon D3s, Nikkor 400/2.8 VR, 1/250 sec at f/5.6. +2/3 EV, ISO 1600. Nikon D3s, Nikkor 600/4 VR, 1/4000 sec at f/6.3. ISO 1250. 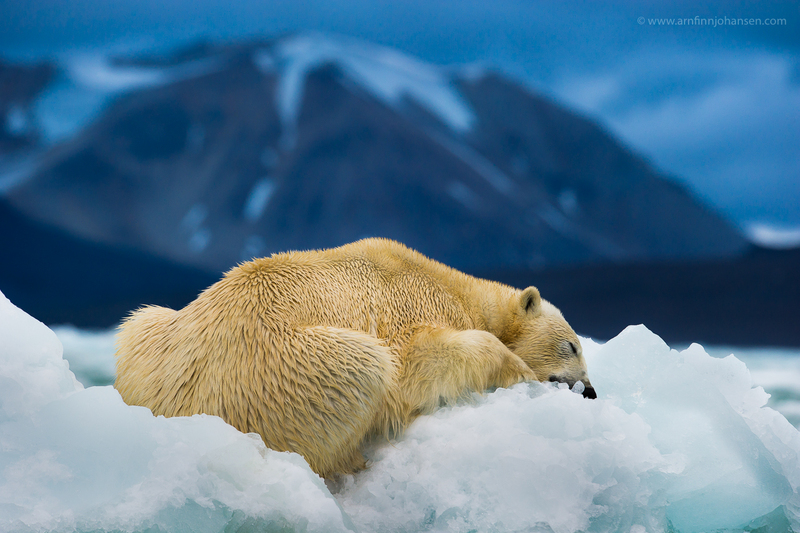 Sleeping polar bear in the evening light at Foynøya north of Nordaustlandet. Nikon D3s, Nikkor 600/4 VR, 1/1250 sec at f/5.6. +2/3 EV, ISO 1600. Polar bear at Isispynten on Nordaustlandet. Nikon D3s, Nikkor 600/4 VR, 1/4000 sec at f/6.3. +1 EV, ISO 1250. Nikon D3s, Nikkor 600/4 VR, 1/1250 sec at f/5.6. +1/3 EV, ISO 1600. Young walrus in evening light at Lågøya. Nikon D3s, Nikkor 600/4 VR, 1/1600 sec at f/7.1. +1/3 EV, ISO 2000. 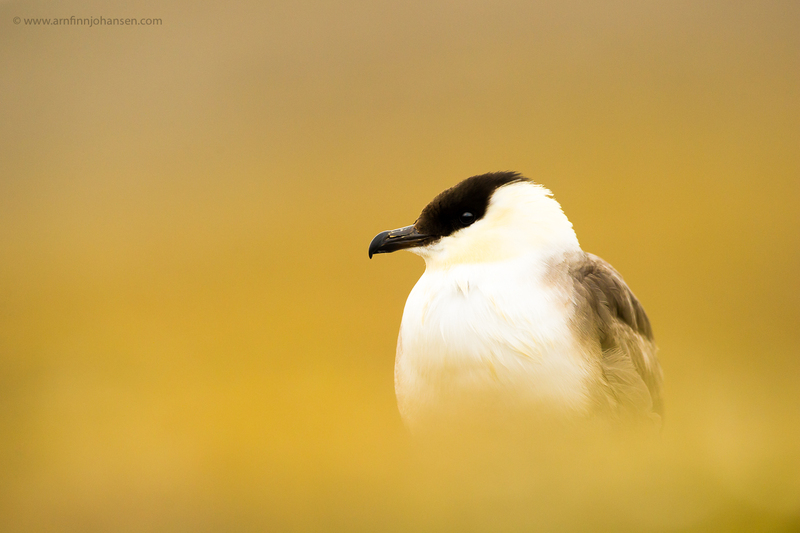 Long tailed skua in Kongsfjorden. 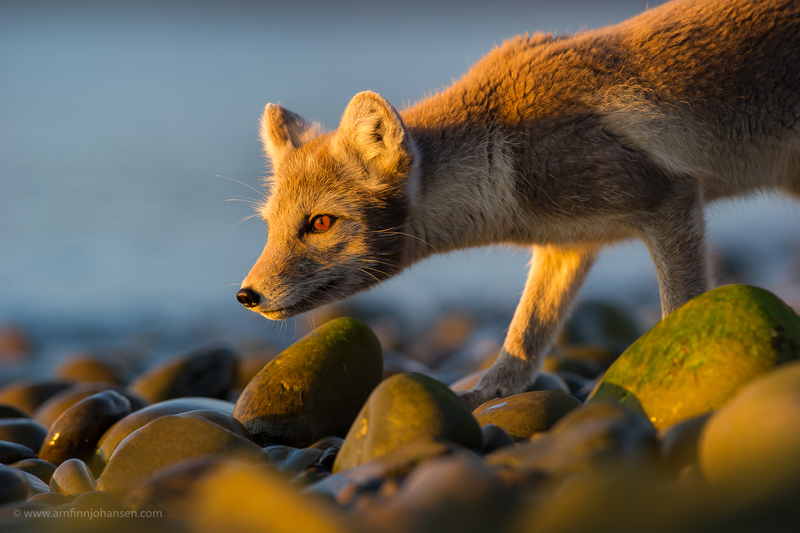 Arctic fox in midnight sun at Bjørndalen near Longyearbyen. Nikon D3s, Nikkor 300/2.8 VR II, 1/400 sec at f/5.6. ISO 1000. Et par flotte isbjørnbilder her. I tillegg falt jeg veldig for revesilhuetten som kun vises i galleriet. Svalbard er etterhvert “gjennomfotografert”, og mange har tatt flotte bilder derfra, mao konkurransen er steinhard. Det er derfor utrolig hyggelig å se at du leverer helt i toppsjiktet Arnfinn !!! Skulle bare mangle for en nordisk mester, forresten. … og jeg vet du har MYE mer !!!! Thank you for uploading your the latest pcitures from Svalbard. 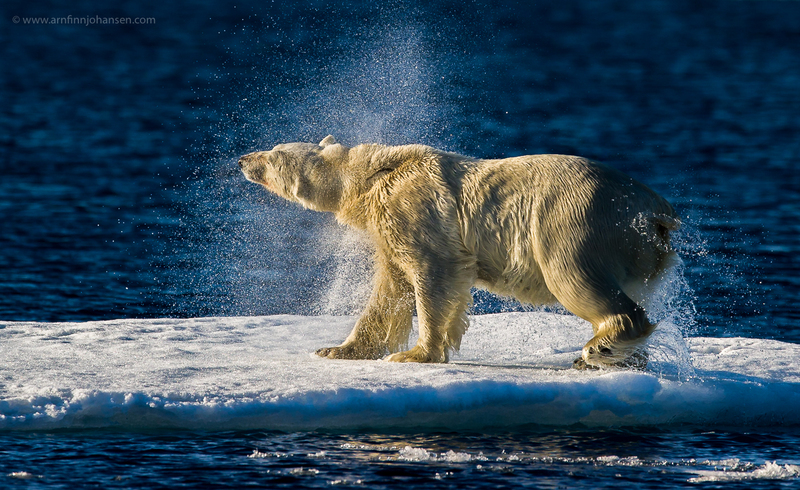 While all the pictures are great but one of Polar Bear shrugging off water and Arctic Fox are \”absolutt fantastisk\”. It was great experience to be on board with you, getting some photographic tips. I must admit that I have met several photographers coming here in India to take pictures of Royal Bengal Tigers and other stuff, I found you to be different, so nice & humble and always willing to help others. You are the best. Keep it up Arnfinn. After 30 years working in the arctic as expedition leader in different situations I´ve seen many photographers coming and going. You certainly have a good eye and when you work with your camera you are absorbed and very focused, but at the same time you have a nice personality and nice with people. I really like your photography and nice having you onboard. Keep on doing what you do. Wow. Wish I was there. Cheers Arnfin, Wonderful as usual !